"it's worth looking at the best demonstration I've seen recently that there's something wrong with motorcyclists. 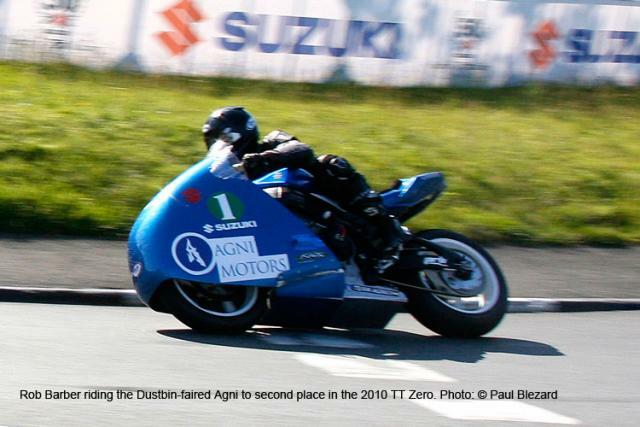 This fairing breaks just about every aerodynamic rule in the book - including the E-GP rules intended to prevent instability at places like the IoM - one of the causes cited for the original bodywork (and FF) ban. It's not just Munch who haven't read the rules! Not only does it ignore all the work done on ground vehicle aerodynamnics in the last fifty years, it ignores the work done by Moto Guzzi and NSU in 1956. This is one of those shapes that would probably go faster backwards. If you don't know anything about an established subject you can do two things. One, Read up about it. Not difficult. Or you can set about empirically recreating the years of work already done, without reference to it. Which is."